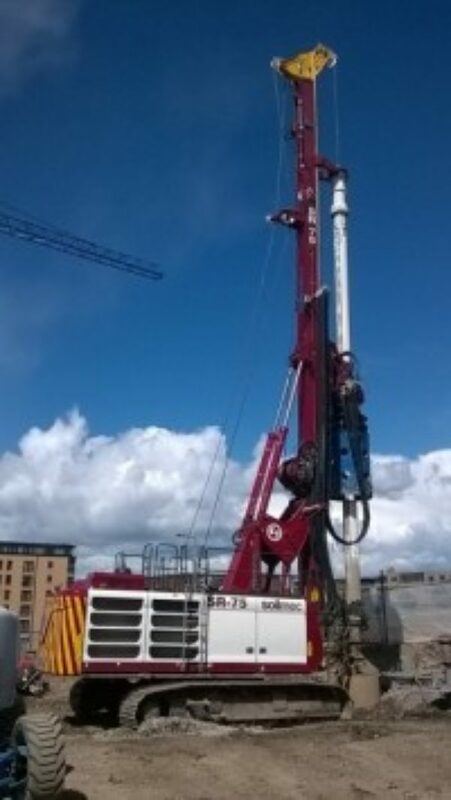 The FK Lowry Piling Package required the installation of a Bored Pile Wall to retain the adjacent Viewforth Street so as to maximise the projects footprint. The ground conditions on the scheme were Made Ground/Fill material overlying loose to medium dense Sands & Gravels before strong to very strong Sandstone & Siltstone Bedrock was encountered at depth. For wall stability, a 3m Rock Socket was required to key into the underlying bedrock.